After having sampled the opening of Far Cry 5 at a preview event, I was looking forward to the final release quite a bit. 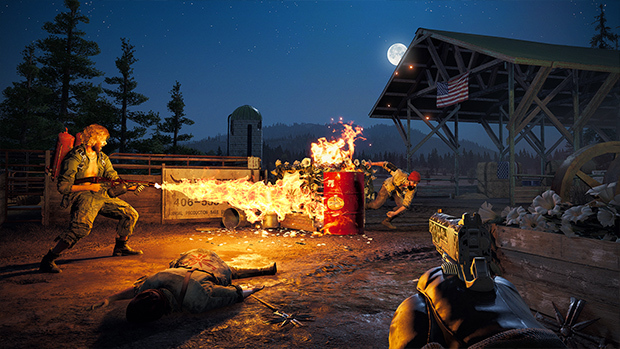 The game had improved considerably from the original build played at IGX and having spent a good amount of time in all the modes of the final game, Far Cry 5 is an excellent game that almost gets everything right. Ubisoft has been on quite the roll over the last 2 years with Watch_Dogs 2, Assassin’s Creed Origins, and Rainbow 6 Siege all turning out well overall with smaller titles like South Park: The Fractured but Whole also releasing to critical acclaim. 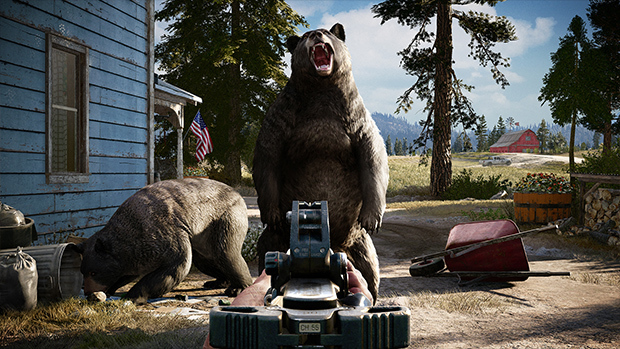 Far Cry 5 isn’t your average Ubisoft open world AAA game. The break since Far Cry 4 for the newest numbered entry has done wonders for the franchise and this time, you’re taken to Hope County, a fictional location in Montana. Joseph Seed (known as The Father) has convinced people around him who are now his believers that he has been chosen by God to protect everyone. There’s a big religious theme throughout the game and the narrative flows quite well when it isn’t blocked by some annoying story missions. The Father’s Project at Eden’s Gate sees followers try and forcibly get more people into the cult. The huge map is split up into different regions controller by Joseph’s “siblings” who are all brilliantly written. 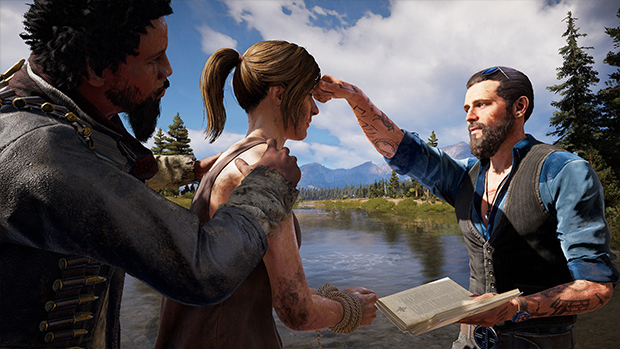 While the ending is something that may annoy some, Ubisoft has easily released the best and most refined Far Cry experience yet here. The only real problem with the story is how you’re sometimes forced into things that sort of break immersion. 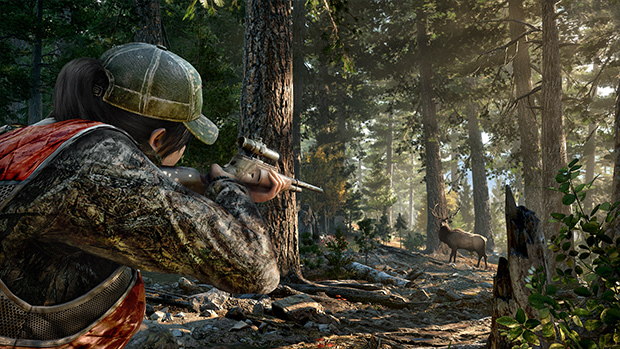 Missions are quite varied and there’s a plethora of weapons and help available to you in the form of wildlife or a friend through co-op. It is great to see the amount of freedom you get with which region to take on and how to go about things. Ubisoft even has a laugh at its own “towers” right from the get go with a joke line. Missions have you taking to the skies in a helicopter or drive around. The big problem initially is the amount of forced action. It feels like you can’t go more than a bit in any direction without enemies in some form appearing nearby. The gunplay is pretty amazing and there’s no shortage of satisfaction when you blow up outposts with a rocket launcher. Stealth is of course an option but no one is playing Far Cry for stealth. Seeing a warning about leaving the mission area is never fun though. The big thing I wanted to check out was co-op and while it is a boatload of fun, there’s a big caveat. Only the host saves progress so you will need to repeat missions with your friend in their own game so they progress in the story as well. Outside the main story is Far Cry Arcade that allows you to create your own maps or check out ones created by others to playthrough. This online only mode is a good time waster if you aren’t inclined to try out your hand at your own levels. It has various content from Watch Dogs and Assassin’s Creed games to use with more coming post launch. Far Cry Primal was quite the looker and 5 takes things even further. It is a sight to behold on the PS4 Pro. Forests are lush and Ubisoft may have created one of the most gorgeous worlds in gaming here. Even the interface is refined and toned down compared to past entries. Gone are the days of a map littered with a gazillion icons. The opening scene is very memorable and this has a lot to do with the great voice acting. I came into this game expecting great voice acting and the team delivered. Music on the other hand blew me away. Everything from the title screen music to the nice ambient and atmospheric songs are great. The licensed music also fits perfectly with the in game scenarios here. Far Cry 5 is easily one of the best games of the year so far. While the co-op progress issue is quite annoying, as a solo game, this is well worth your time and money. Ubisoft has gotten almost everything right here and created a game that looks and runs great on all consoles.